As some of you reported, there is currently an ongoing issue affecting WearOS users connected to an iPhone. The symptom of the issue is getting a "SERVICE_NOT_AVAILABLE" error on your watch when trying to activate its QR code. Unfortunately, this prevents some of you from connecting the iPhone app to your watch and syncing watch faces. 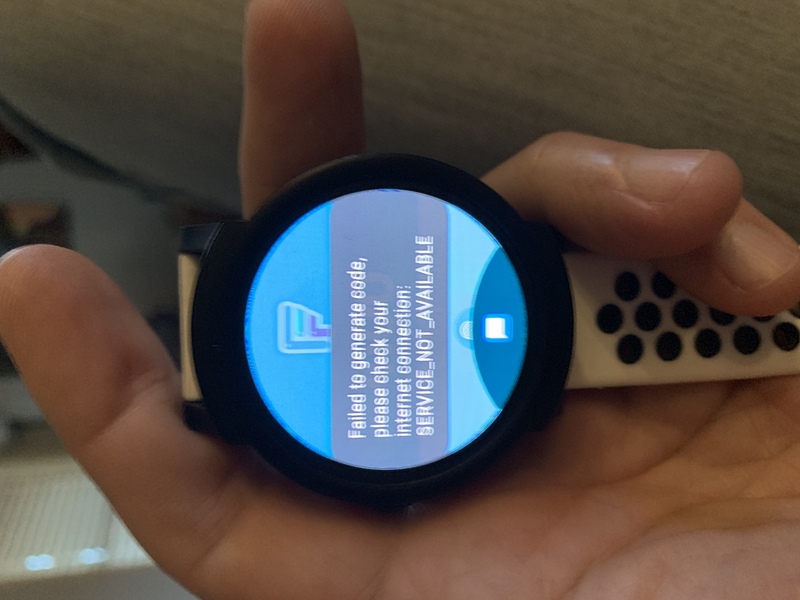 We have been working on resolving this issue for a while and now confirmed the issue is caused by a recent update of the WearOS companion app on the iPhone. We are working with Google to get this addressed as soon as possible and will update this thread as soon as we know more. Update Dec 27th: Google confirmed a fix is on the way but was delayed by Apple's holiday shutdown (no app could be update from Dec 23rd to Dec 27th). While we cannot confirm an ETA at this point since the fix is in Google and Apple's hands, we are hopeful that the update will be available in the next few days. We will update this thread as soon as we know more and have a specific date. Update January 11th: Apologies for the delay, we have been informed that the fix has passed internal testing and should be available in the App Store shortly. No specific ETA because it's now dependent on Apple's approval process, but likely to be by early next week. Thanks so much for your patience! On your watch, 4x tap on your Facer watch face to bring up the QR code. 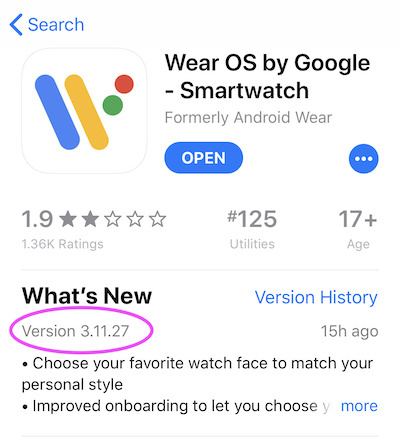 It should now show up properly, as long as you have updated to WearOS 3.11.27 on your phone. If this issue prevented you from enjoying Facer Premium, please contact us at facer-support@little-labs.com and we'll do our best to make it up to you. Unfortunately, no alternative that are aware of as of today. However, Google confirmed a fix is on the way but got delayed due to Apple's holiday shutdown (no app updates from Dec 23rd to 27th). Because this shutdown is about to end, we're hopeful that the update is now just a few days away. Fingers crossed! Is this fixed yet? I hate how i cannot use my watch as intended. Thinking of returning it..... facer update it! Is there any estimate on a date or time when the fix will be released, and would it be a update to the Wear OS app, Facer app on iPhone, or Facer app on the watch? We are trying to get an ETA from Google and will share it here as soon as we hear back. When it will be working again ? Support, This is really becoming an issue. Can’t you push them for an estimated resolution date? Anything at all ? Three weeks is quite a long time. It's been almost 3 weeks, at this point i'm starting to wonder is Google really even working on an update, because since it was caused by an update, couldn't they just revert the bad changes they made? This is starting to get annoying. Do you have a date for the update ? Hi all, this has been escalated with Google at a fairly high level and we are working with them to get an ETA as soon as we can.